Hit on shingle from golf-ball sized hail. When we tell someone we are Haag certified, unless you are an insurance adjuster, it probably doesn’t mean much. Yet, being Haag certified should matter to homeowners. After a severe storm, many contractors will try and get a piece of the damage pie. You will see contractors with new wrapped trucks and those who look like they are living out of their trucks. You will see contractors that only do interior remodeling scrambling to get crews to put on roofs and siding. You will also see qualified exterior storm damage specialist mixed in with the mess. So how do you weed out the good from the bad when picking a contractor to use? That is where the Haag certification comes into play. What does Haag Certified mean? The Haag Certified Inspector-Residential Roofs course covers damage assessment of sloped roofs more commonly found on residential houses and buildings. In order to even qualify for the Haag Certified Inspector –Residential course, the student must have completed a minimum of 100 residential (sloped) roof inspections as the primary “on roof” inspector. This automatically weeds out the pop-up roofing contractors. In the course, you learn to identify credible hail and wind damage to residential roofs. This course is well-known and accepted by almost all industry professionals, including insurance companies. To obtain your accreditation, you must not only attend the course but take a difficult examination and pass. In essence, being a Haag certified inspector means you have qualified for the course, passed the thorough examination and now are considered a leading expert in the industry for hail and wind damage. What is involved in a Haag course? Think the Haag Certified Inspector-Residential Roofs course is just attending and an open-book test? Think again. Haag teaches you about hail damage thresholds, meaning what is the smallest size of hail which might cause functional hail damage to a particular type of roofing? Furthermore, you learn how hail hits of various sizes effect different roofing materials like asphalt shingles vs. clay tiles. For example, suppose that hail has been reported as 1” and 2” in two areas of a city. 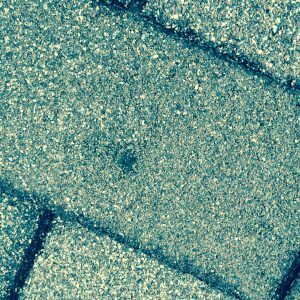 Since the threshold for lightweight asphalt shingles is 1” hail, a valid hypothesis is that the greater opportunity for damage would be in the area where 2” hail had fallen. Basically, the Haag course gives inspectors a thorough education on hail damage stemming from a scientific approach. Finding a Haag certified inspector is one of the easiest credentials to look for that separates true insurance restoration specialists from your average Joe kitchen remodeler. While, Joe Kitchen may be a completely respectable contractor if you were looking to update your kitchen, he most likely won’t be able to help with hail damage to your shingles. As a homeowner, you must do your homework for the contractor you hire and finding a Haag certified one like Modern is a great place to start.